cooler weather, new TV shows, shorter days, and for me, time to try out new recipes! 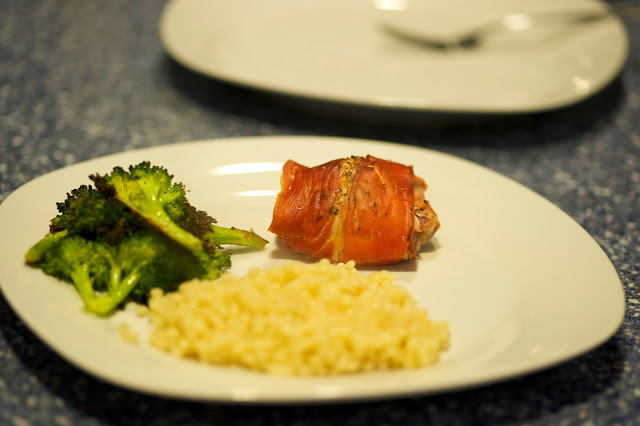 At our house, we prefer boneless skinless thighs, but if you prefer breast, you could easily substitute. Preheat oven to 400 degrees. Coat baking sheet with olive oil, or your choice of oil. Rinse chicken and season with pepper. 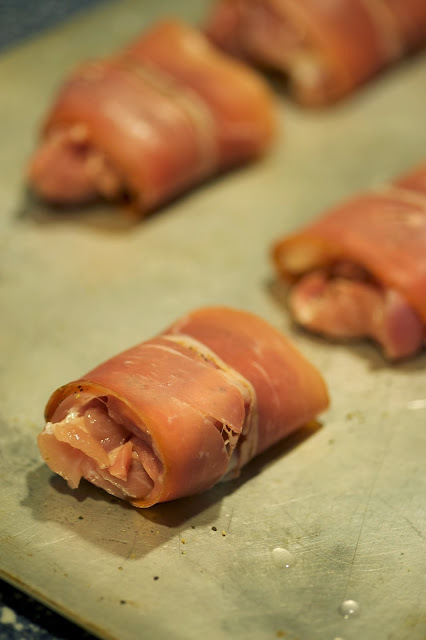 Wrap a slice of prosciutto around each thigh. Place baking sheet on middle rack and bake for 35-40 mins. Chicken will be done when it is golden brown and prosciutto is crispy. 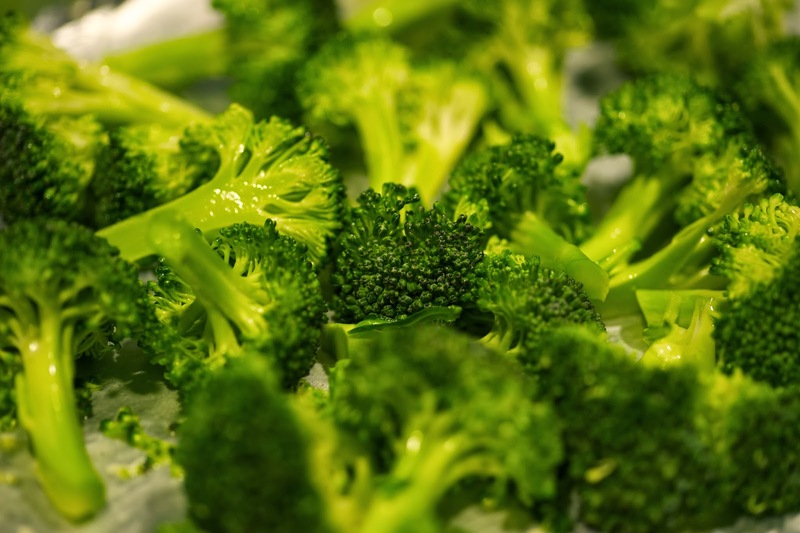 For tonight's dinner, I'm preparing two side dishes - Roasted Broccoli and Israeli Cous Cous. 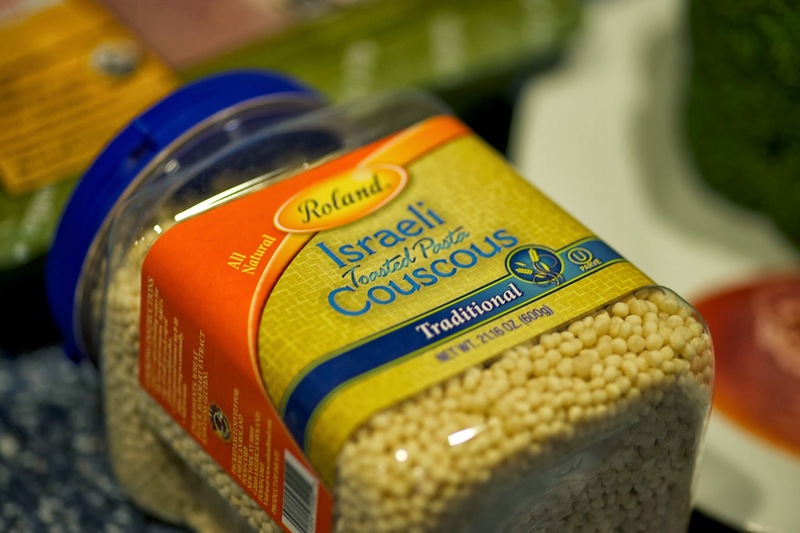 Cook Cous Cous according to package on container. Mine calls for 1 1/4 cups of water to 1 cup of pasta. I use chicken broth for more flavor. Once cooked, I season mine with a little salt and lemon juice to keep the pasta from sticking.